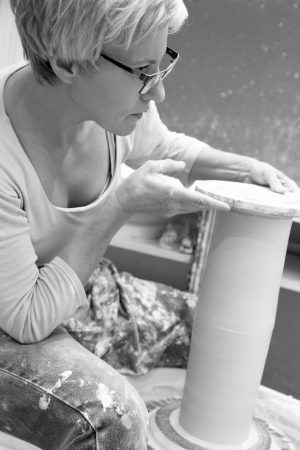 Throwing porcelain quite thin is the focus of my work. Concentraiting on how to Combine logically the inside with the outside of a vessel by using exact lines keeps me alert. Exploring new themes by painting gesticularly gives me pleasure. 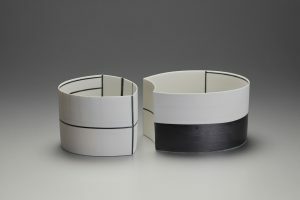 My main work is based on a monochromatic black and white sceme: a silk matt basalt glaze on pure porcelain. 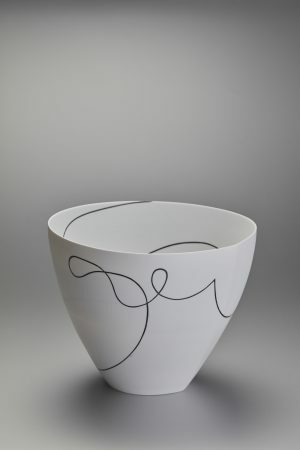 Precise lines or an impulsive brushstroke blend naturally with the shape, which exists of smooth curves and hard edges. 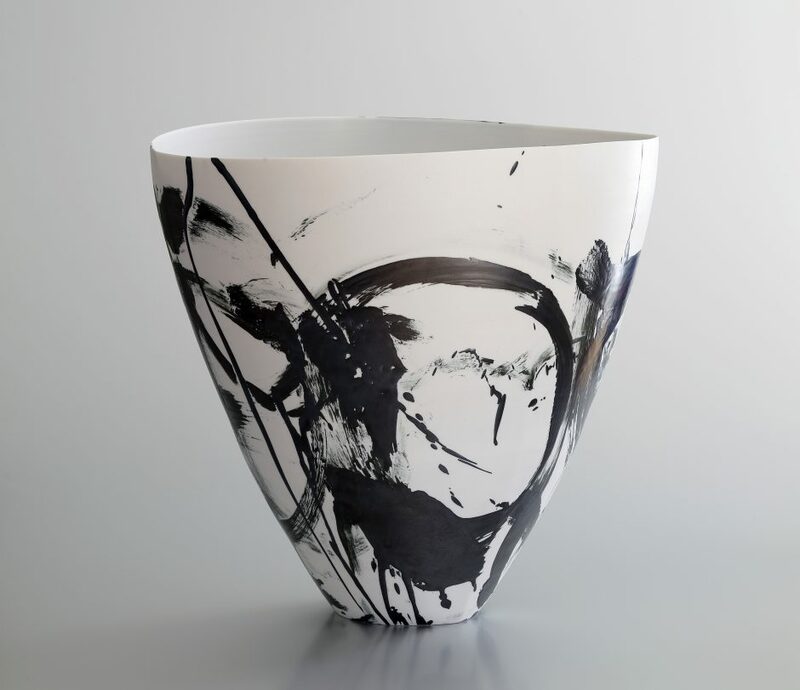 The interaction of form and painting creates a complementary tension, which is at the same time simple and pure. 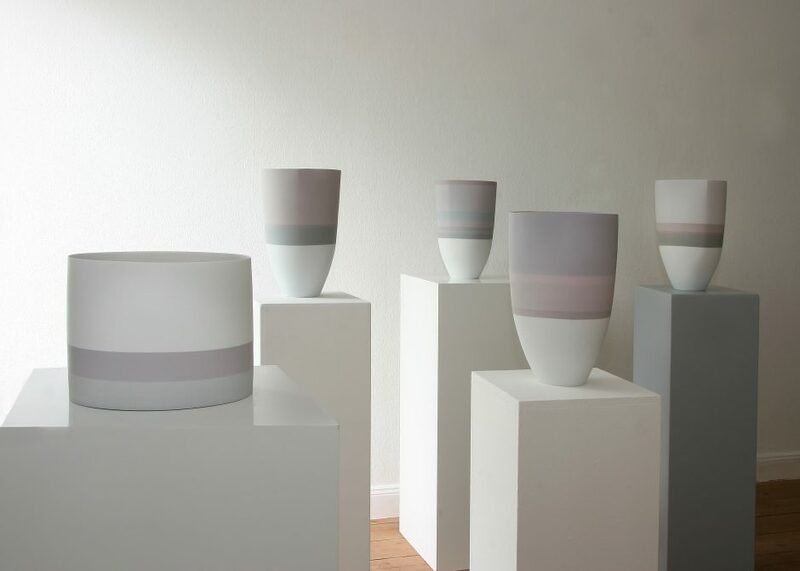 Vessels in gentle colours complete my present oevre. 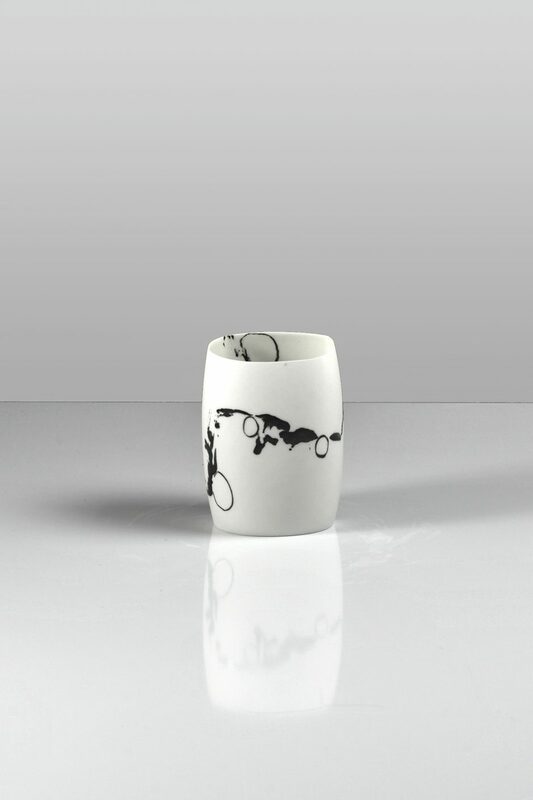 Stained porcelain rings are thrown and joint together. The neccessaty of absolute concentration is tempting me, the colour arrangements are fulfilling.